Sprint announced today that it is teaming up with World Wildlife Fund’s (WWF) Climate Savers program, which partners with corporations around the world over reducing their environmental footprint. Sprint is the only carrier in the US that is committing to reducing its emissions by a firm number of 20 percent over the course of five years. Our admission into World Wildlife Fund’s Climate Savers program illustrates Sprint’s commitment to making a difference by reducing greenhouse gas emissions. 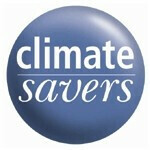 Joining the Climate Savers program is an important part of our ongoing climate protection efforts. My hope is that our commitment encourages other companies to follow. Sprint's Network Vision project will upgrade its existing network infrastructure for multiple spectrum bands on single, multimode base stations, thus diminishing Sprint’s cell sites environmental footprint. The energy sources for the cell sites will gradually shift to using renewables like wind, solar, hydrogen fuel cells and geothermal power as much as possible. This project certainly comes in challenging for Sprint times, which make it all the more noble undertaking. Have a look at the full press release below. OVERLAND PARK, Kan.--(BUSINESS WIRE)-- Sprint (NYSE:S - News) marked another environmental milestone today by announcing new climate protection commitments with World Wildlife Fund’s (WWF) Climate Savers program. Sprint CEO Dan Hesse made the announcement during his keynote address at CTIA. Sprint is the first Climate Savers partner in the United States that will address all scopes of greenhouse gas (GHG) emissions through their agreement with WWF. How will Sprint\'s emission reductions offset the emissions from NASCAR?